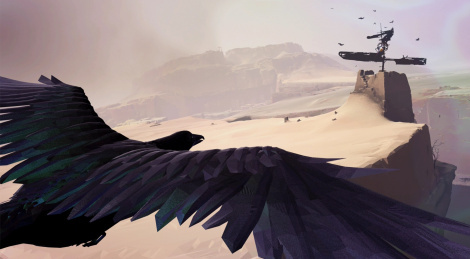 Just like Ueada's productions that it tries to pay tribute to, Vane took its time to arrive in its final version, to the point many even doubted it would eventually come out. Although it is still too soon for us to tell you if the game was well worth the wait, be aware that it clearly isn't meant for everyone. To begin with, you'll need to accept the total absence of any giuding system, which means you'll have to figure out what to do and where to go by yourself. Then, you'll also have to be patient, as the game's pace is obviously very slow. Last but not least, you'll need to accept that, just like The Last Guardian in its days, Friend & Foe's title is far from being perfect in the technical department. Framerate isn't smooth despite the 2.40:1 aspect ratio chosen by the developers, the camera and the character's handling can be annoying and we have already witnessed a few bugs.